Fuerteventura is one of the seven Canary Islands in the Atlantic Ocean. It is the second largest in the archipelago in terms of the size of each island. In addition, as it is 97 kilometres from the coasts of Morocco, it enjoys a very mild and almost desert climate. Due to its geographical location, Fuerteventura is more or less permanently exposed to the northeast trade winds. As a result, the island is home to a number of spots renowned for surfing, winsurfing and kitesurfing. What is the best season to kite surf in Fuerteventura? What to do when there are no winds? For kitesurfing the best season is from April to August, you can organize 5 courses over a one-week stay. The months of September, October, November, December, January and February are generally average but we will have regular wind, but not necessarily every day, as can be the case during the wind season. We recommend choosing 3 kite lessons for a one-week stay and taking more on site if the conditions are good. Generally, the wind can increase to an average of 15 knots in the middle of the afternoon. Our kite camp offers you the opportunity to replace kite lessons with wakeboard, sup, or surf. For surfing, the season for good waves for intermediate levels is from September to March. 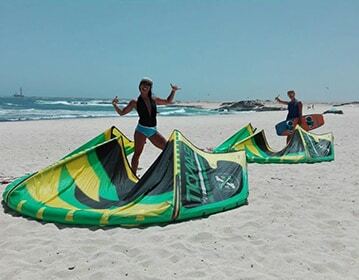 However, in order to fully enjoy your kitesurfing stay in Fuerteventura, it is important to know in advance the weather and in particular the strength of the winds and their speed. However, while the weather forecasts for the next 24 hours offer a reliability of around 70 to 90%, it is still very difficult to achieve this level of reliability over a period of more than 5 days. This is despite the use of the most powerful computers and the skill level of the weather engineers. Because it is physics itself that is the cause of the relativity of weather forecasts. Without going into the details of the Navier-Stokes equation, it should be noted that the weather sensors have a small inaccuracy that prevents the weather engineers from having the same initial conditions as those that exist in nature. And this tiny difference will have an impact on the equations that govern atmospheric flows. This means that the longer the simulation is spread over a long period of time, the more the answer it gives, namely the weather forecast, will move away from the real answer, i.e. the weather. 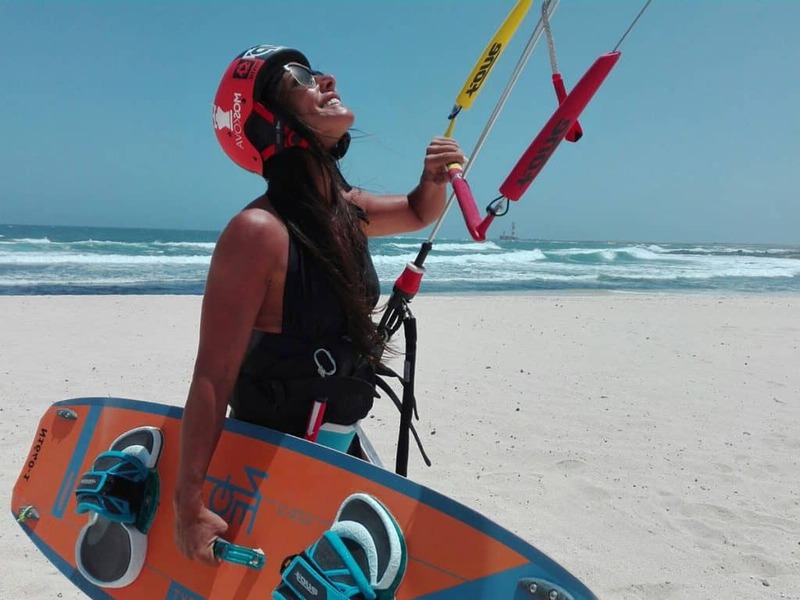 Kitesurfing attracts athletes from all over the world to Fuerteventura. Indeed, the island has many spots where they can fully indulge their passion. Even those who are just starting out in this discipline can find spots where they can have fun with the wind and waves in complete safety. But whatever your level, you need optimal weather conditions in order to fully enjoy your stay in the second largest island in the Canary Islands. As the temperature is quite pleasant all year round and the wind blows more or less permanently, it is possible to organize your kite trip to Fuerteventura in January. This way, you will have enough wind to have fun in water at a fairly mild temperature. So when booking your flight to Fuerteventura, your hotel room, your car and possibly your kite equipment for January, it is not superfluous to take a look at the weather forecast, especially the wind strength during this period. As a reminder, if we refer to the first week of January in 2013, there was a wind of 32 km/h on January 1, 2013. On January 2, it still had a force of 32 km/h. On 3 January 2013, it dropped to 28 km/h and then increased to 30 km/h. The next day, January 4, wind gusts reached 37 km/h before dropping to 31 km/h on January 6 and stabilizing at 21 km/h on January 7, 2013. The following year, Fuerteventura was swept by an 18 km/h wind as of January 1, 2014. It maintained the same strength on both 2 and 3 January 2014 before increasing to 30 km/h on 4 January 2014. It then gradually declines to 27 km/h on 5 January, 19 km/h on 6 January and 13 km/h on 7 January. In 2015, the wind strength in Fuerteventura will vary considerably. If it is 37 km/h on 1 January, it will then increase to 42 km/h on 2 January before rising to 46 km/h on 3 January. It then gradually decreases from 45 km/h on 4 January to 35 km/h on 5 January, then 32 km/h on 6 January and 34 km/h on 7 January. As for the year 2016, we had a wind of 13 km/h on January 1st. The next day, it reached 16 km/h on 2 January before dropping to 15 km/h on 3 January and 13 km/h on 4 January. It is then reached 20 km/h on 5 January, rising to 31 km/h on 6 January and decreasing to 18 km/h on 7 January. Finally, in 2017, the wind was 28 km/h on January 1 and 2 and then dropped to 26 km/h on January 3 and 20 km/h on January 4 respectively. The next day, it will drop to 18 km/h and then rise to 21 km/h on January 6 and 29 km/h on January 7. It is still possible to organize a stay in Fuerteventura in February to practice kitesurfing. For reference, it is useful to know the wind strength during this period for previous years. On February 1, 2013, the wind blew at 27 km/h before increasing to 37 km/h the next day and 43 km/h on February 3. It then dropped to 41 km/h on February 4, 40 km/h on February 5 and 37 km/h on February 6. In 2014, Fuerteventura was swept by a 27 km/h wind that then dropped to 23 km/h on February 2 before increasing to 25 km/h on February 3. The next day, it decreased again to 19 km/h before increasing to 22 km/h on 6 February and 28 km/h on 7 February respectively. As for 2015, the kiteurs benefited from a 35 km/h wind on February 1st. The speed dropped to 33 km/h on February 2, then to 30 km/h on February 3 and finally to 27 km/h on February 4. It then increased to 30 km/h on February 5 before dropping to 27 km/h on February 6 and 22 km/h on February 7. For 2016, the wind increased from 17 km/h on February 1 to 23 km/h on February 7. In the meantime, it had a force of 15 km/h on February 2, then 21 km/h on February 3, 17 km/h on February 4, 15 km/h on February 5 and finally 14 km/h on February 6. If you plan to kite in Fuerteventura in February of the following year or months, it is advisable to check the weather forecast and check the wind force first. This will allow you to better plan your stay. However, it should be kept in mind that beyond a 5-day window, the forecasts may lose their reliability.